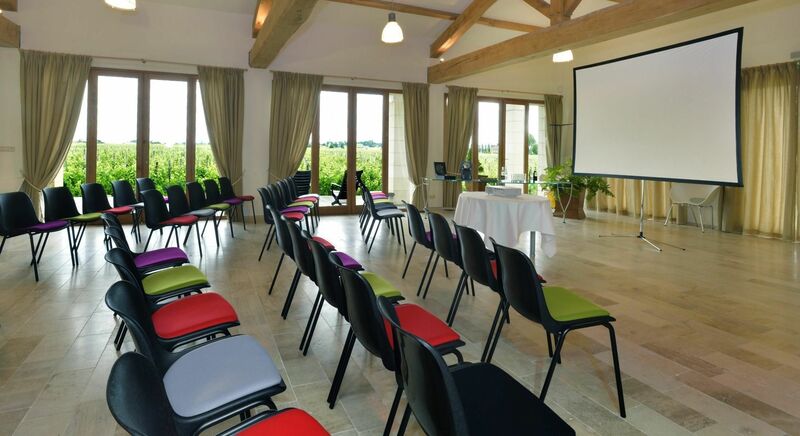 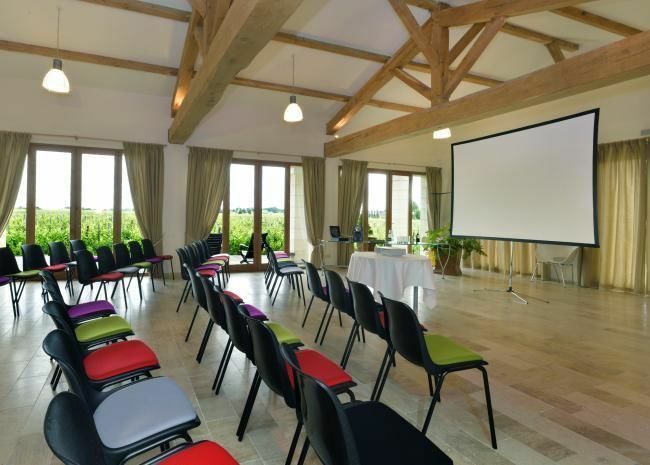 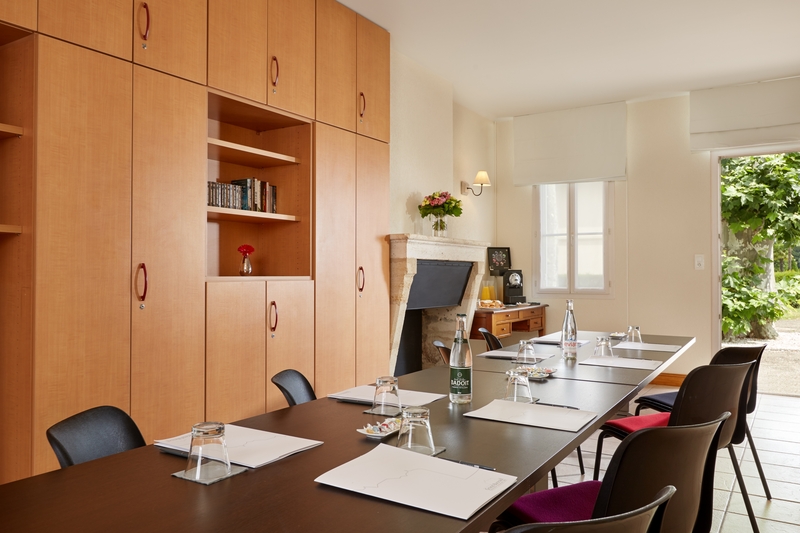 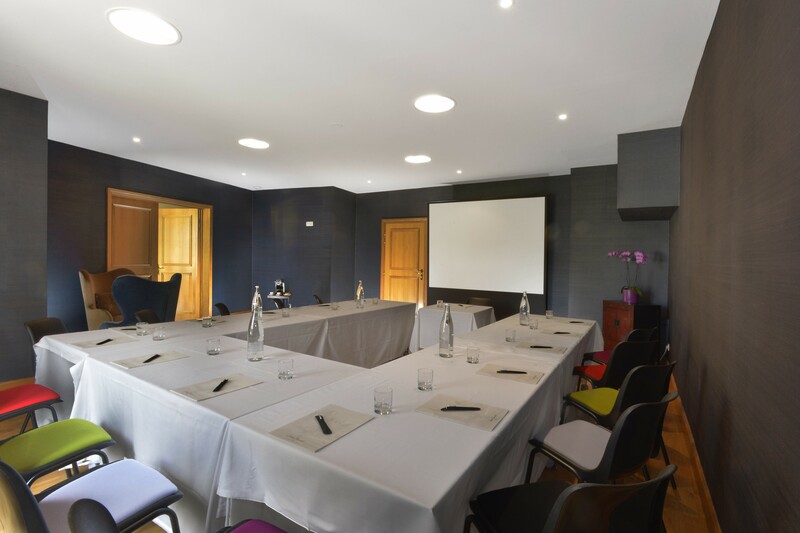 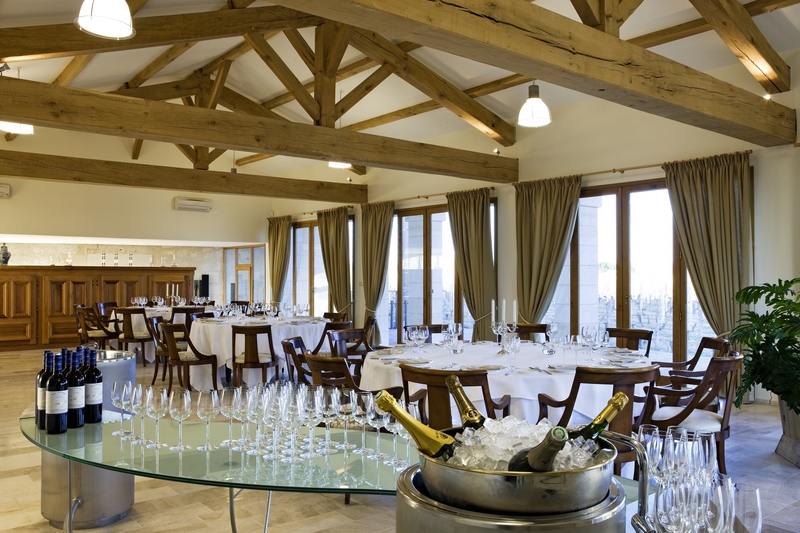 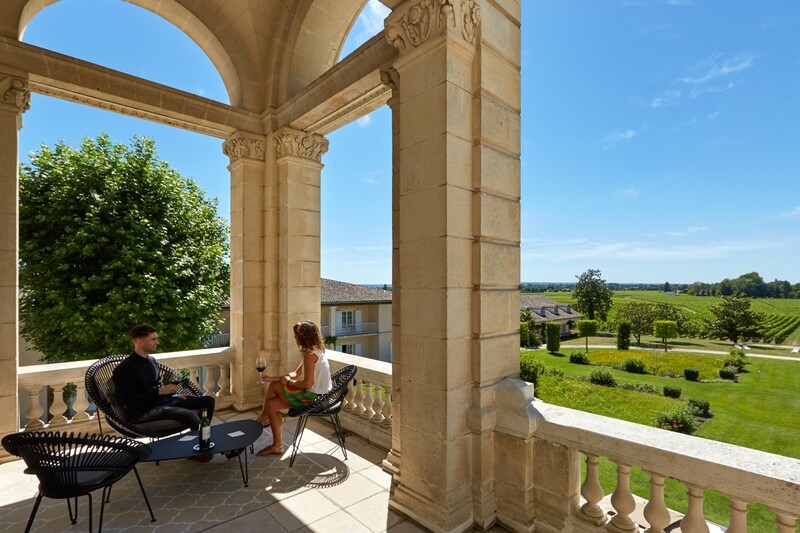 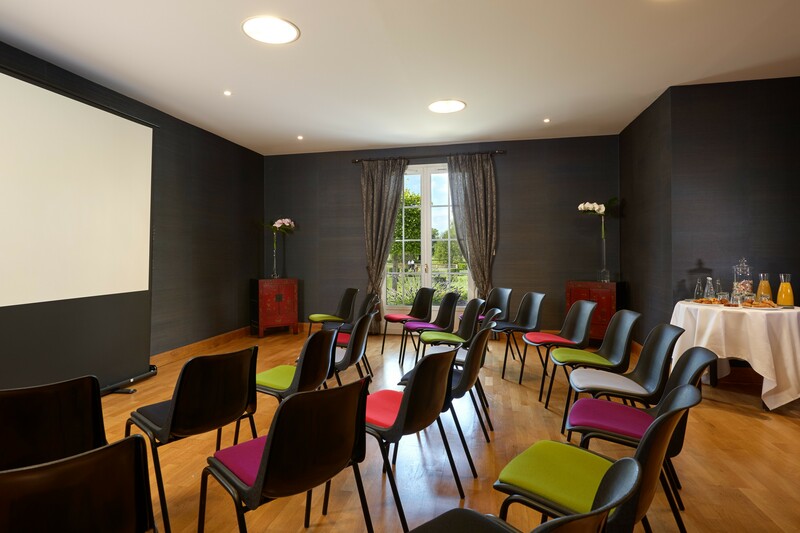 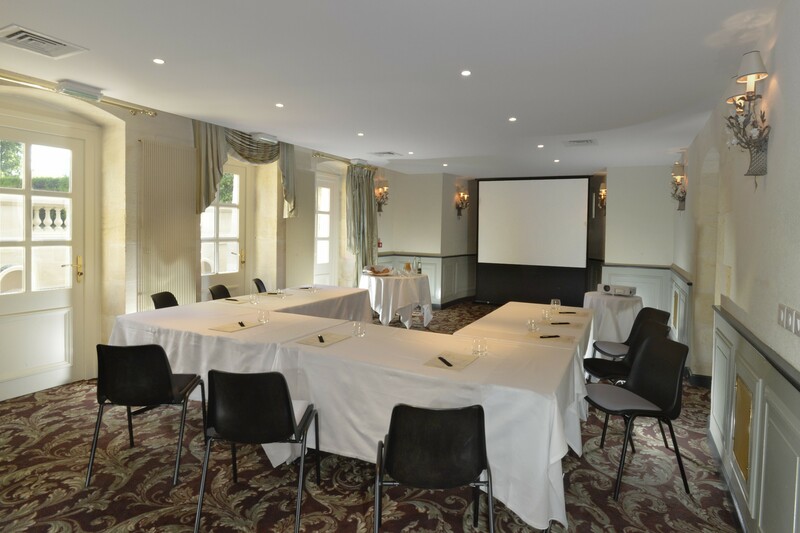 Located next to the medieval town and most famous wine-producing châteaux of Saint-Emilion, the Château Grand Barrail Hôtel – Restaurant – Spa offers five private function rooms (3 seminar rooms and 2 little conference rooms) to host your seminars and other events. 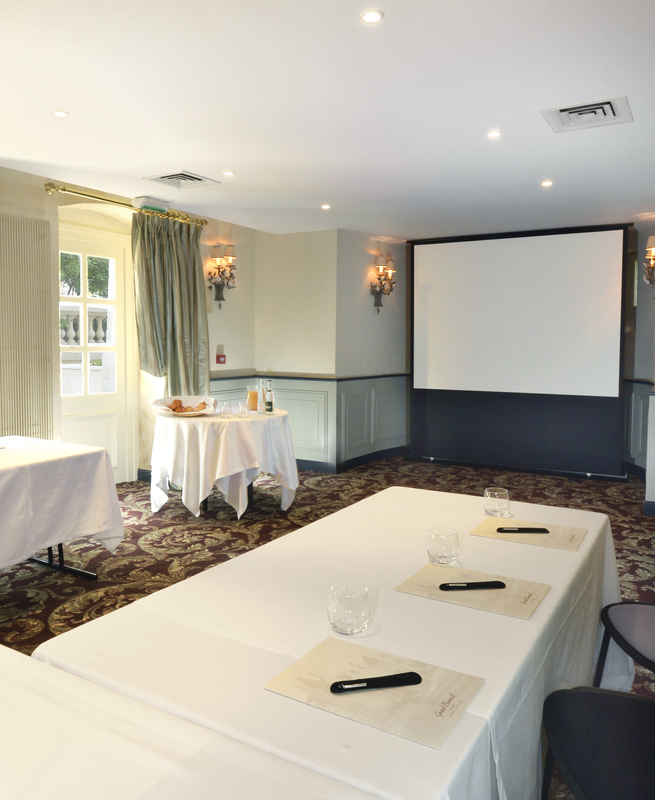 All our function rooms are fully equipped with a video projector, screen and a paperboard. 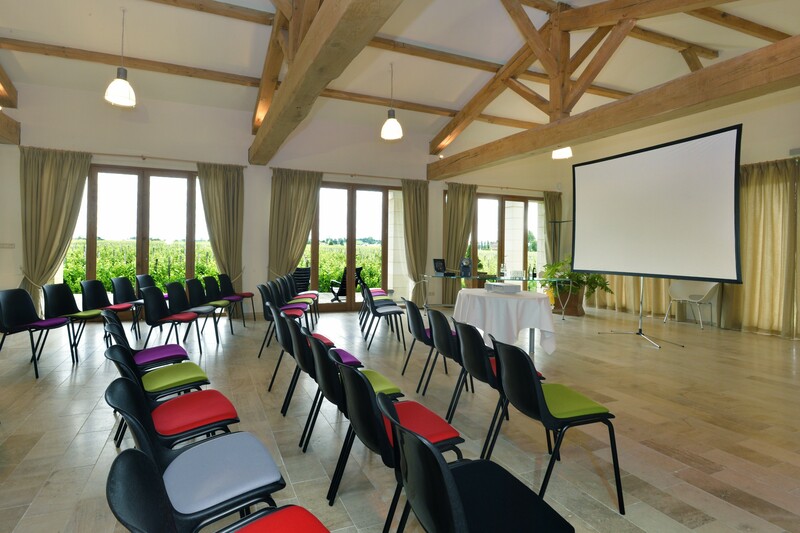 WiFi access is available. 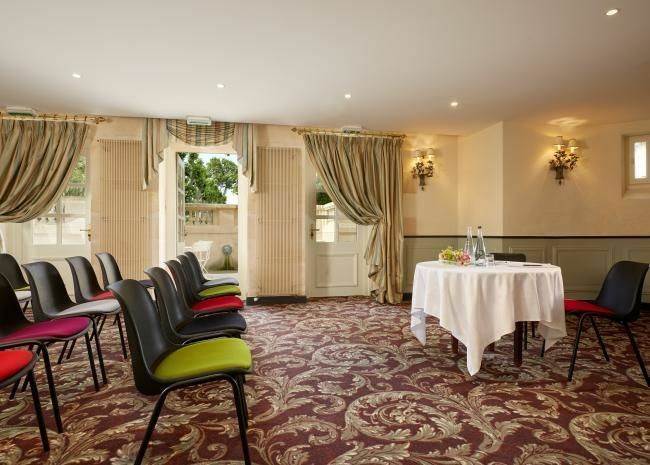 The Hotel can also provide paper, pencils, mineral water and hard candies for attendees. 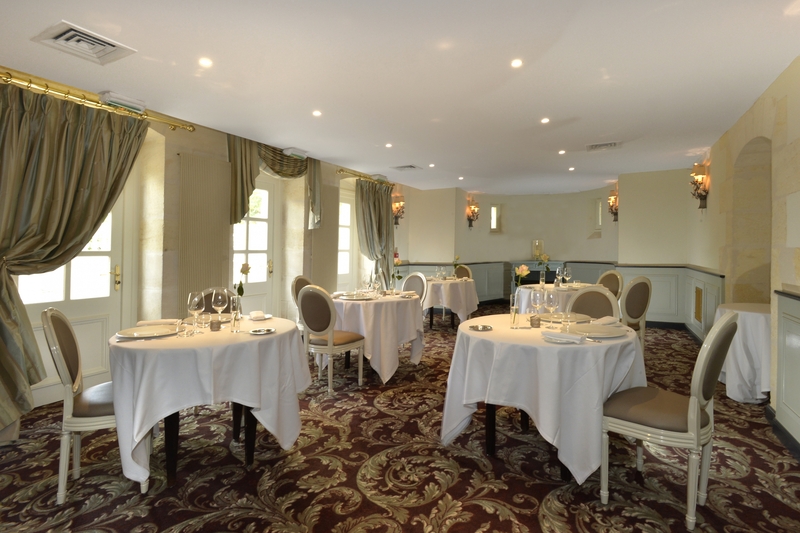 In a classy and refined setting, our gourmet restaurant offers high-quality, mouth-watering cuisine. 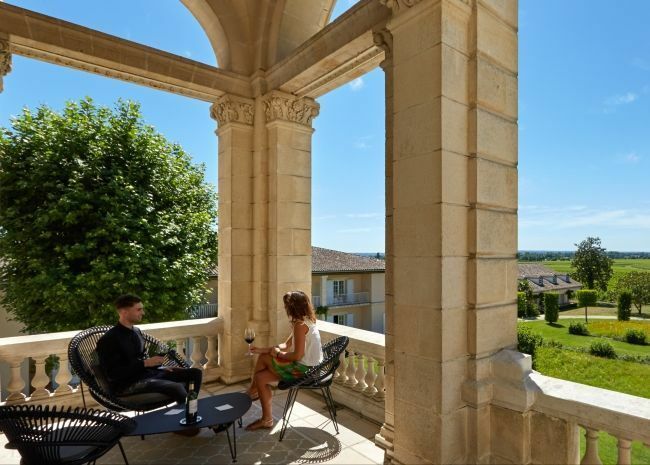 Our Cinq Mondes Spa is the place to relax and recharge your batteries. 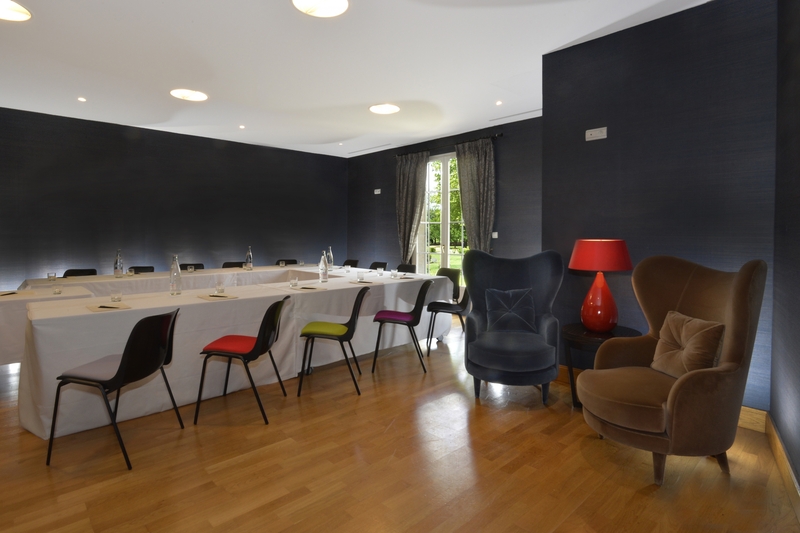 Situated in La Maison du Bien-Être, the Coté Parc function room looks out over the park. 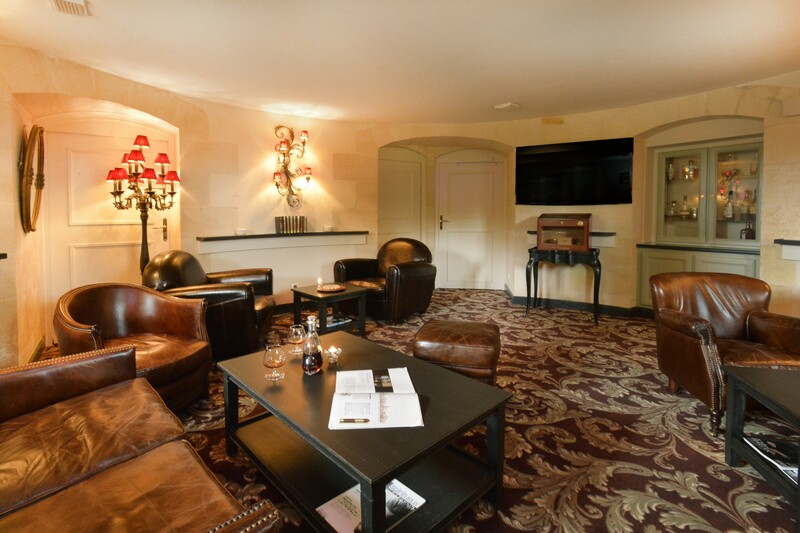 The Millésime Room is located in the Château and features stone walls and a private patio. 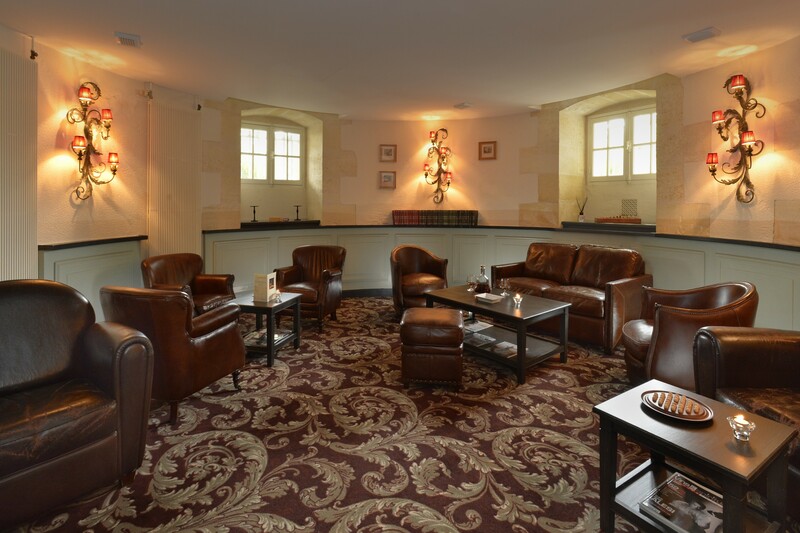 An adjoining tasting room is also available. 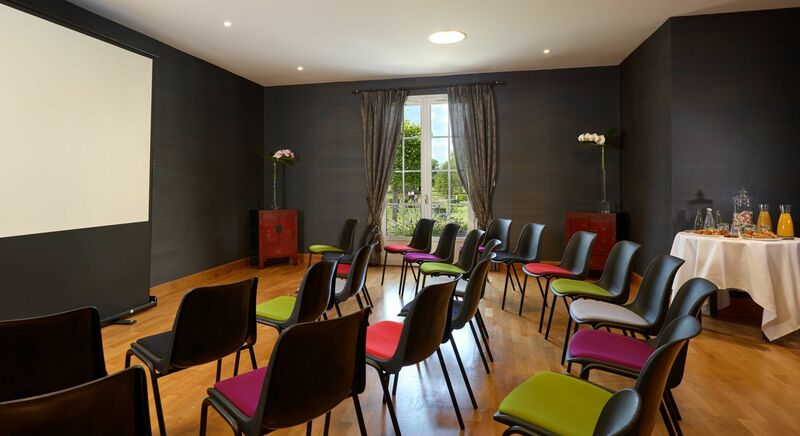 The maximum capacity is 40 people. 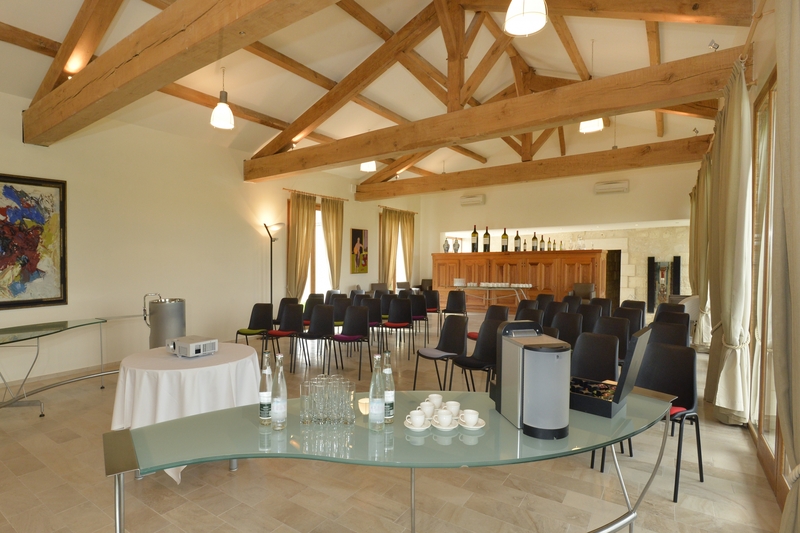 The Marzelle Room features stone walls and overlooks nearby vineyards. 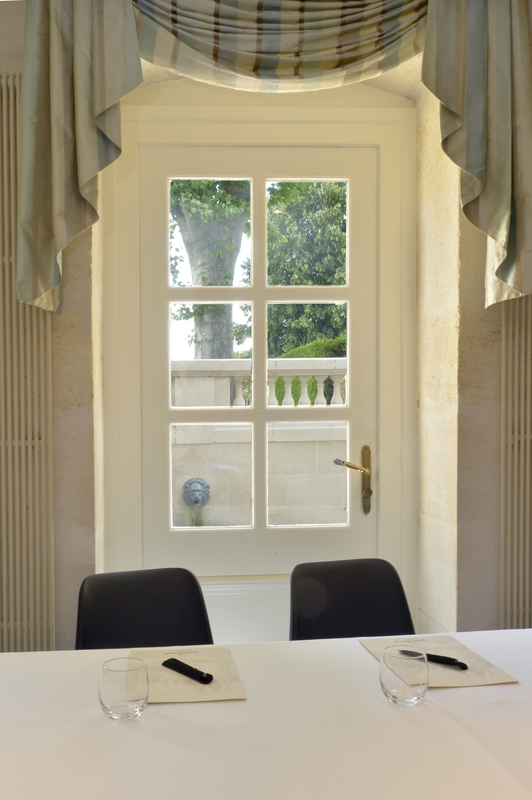 It overlooks a 115m² terrace. 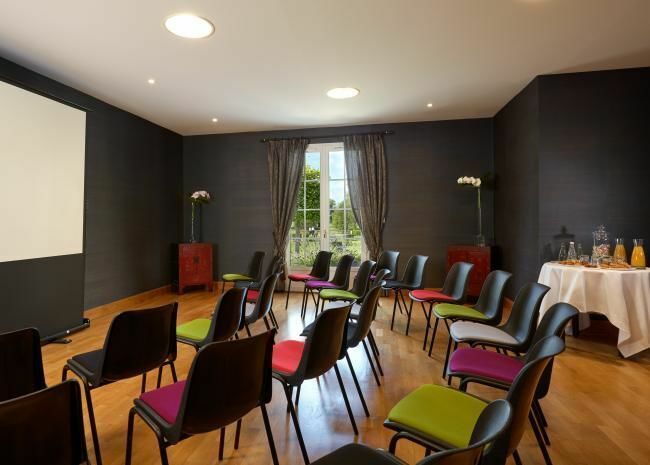 The maximum capacity is 85 people. 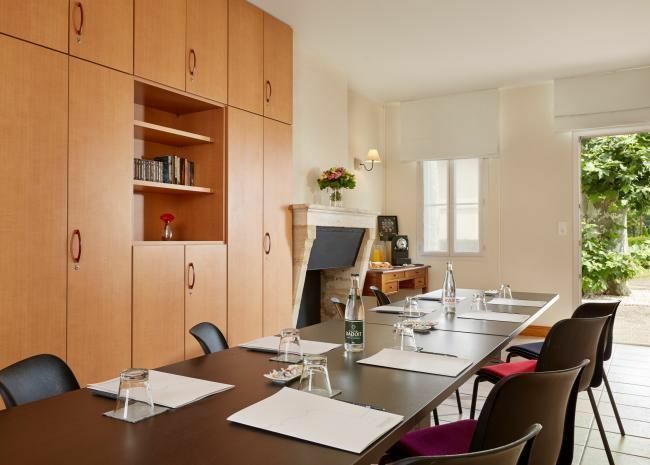 This 28m² room is a quiet place to hold committee meetings or a workshop. 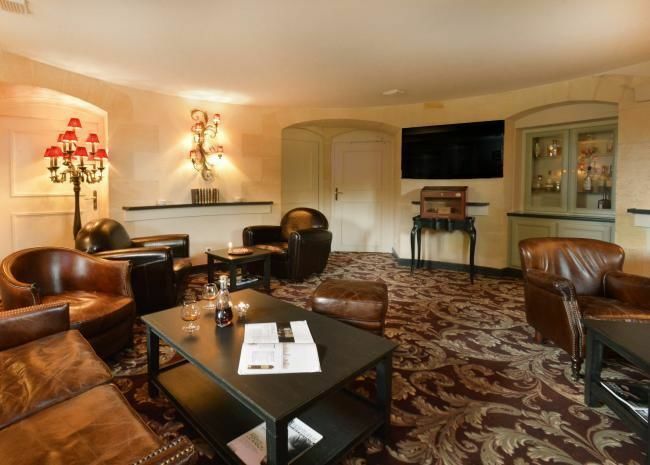 This 18m² room features comfortable leather armchairs and sofa, and coffee tables. 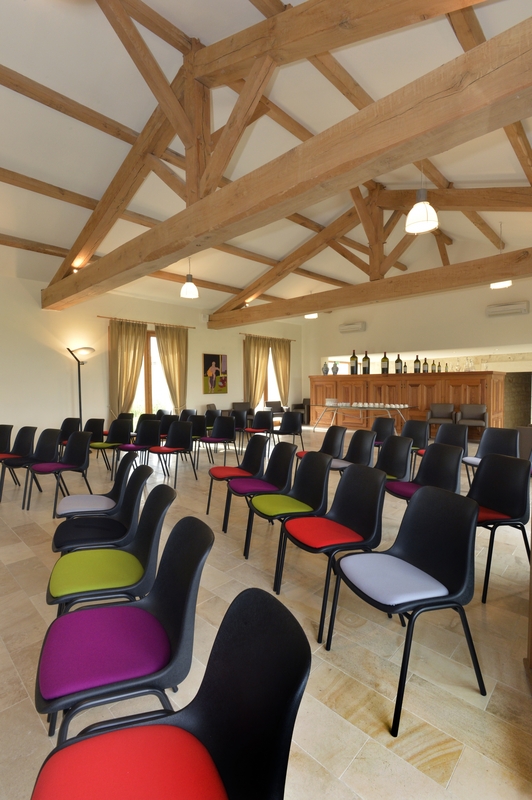 It can welcome up to 10 people. 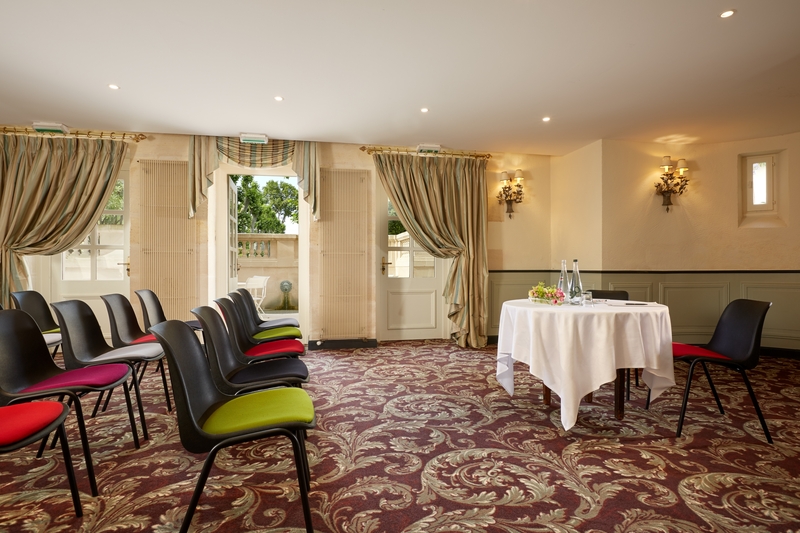 An original place for management committees or informal meetings.